Here are some links that we highly recommend for your future growth and development. Enjoy! Over the past two years, the team at desiringGod.org has published a series of ebooks made available to our readers free of charge. The ebooks range from material written by John Piper, individual biographies, and multi-author volumes, with each one downloadable in three electronic formats (PDF, MOBI for Kindle, and EPUB for iBooks and other readers). To further help Christians know what they believe, why they believe it, how to live it, and how to share it. ONE YEAR BIBLE ONLINE – Reading and staying in God’s Word is the goal of OneYearBibleOnline.com. To that end they offer our daily/weekly email newsletter. BIBLEGATEWAY – Resources to promote and enhance Bible reading. 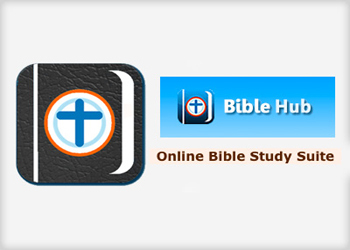 BIBLE HUB – This site provides quick access to topical studies, interlinears, sermons, strong’s & many more resources. THE SPURGEON ARCHIVE – The comprehensive repository of C. H. Spurgeon.